Bahama Islands Info reports that U.S. Ambassador Nicole Avant hosted a group of 13 young women and troop leaders representing Girl Scouts of Kentuckiana. The Girl Scouts met with the U.S. Ambassador to learn about her leadership role in The Bahamas and discuss their careers goals. 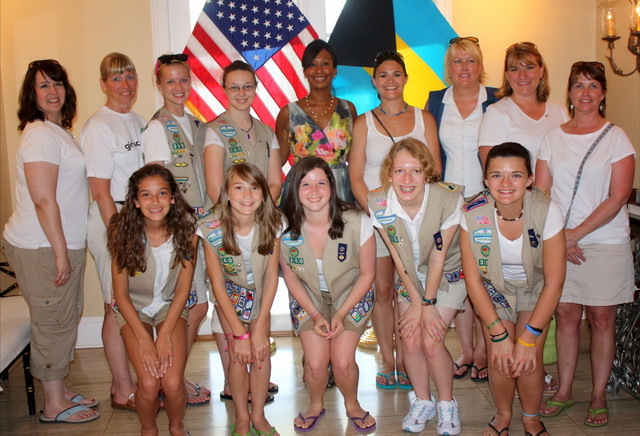 The Girl Scout troop visited Nassau as part of a cruise and earned their well-deserved vacation by holding a range of activities and fundraisers that included selling their signature Girl Scout cookies and teaching younger scouts first-aid. Have you traveled as a result of Girl Scout fundraising?